Use stickers to practice forming letters in this Easter Themed Letter Activity. Cut out egg shapes from construction paper. 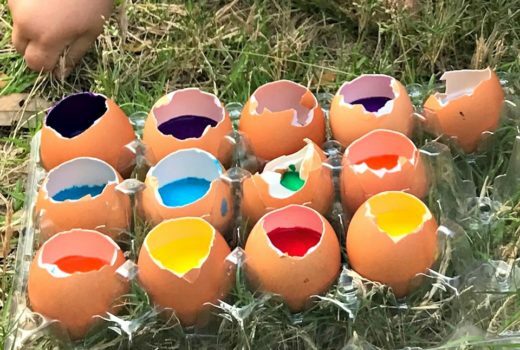 Write one letter on each egg. I wrote “Easter”, but you could also write your child’s name. Use stickers (any small sticker will work) to trace each letter.